Are you looking for cheap voice overs with not-so-cheap results? You've come to the right place! Afford A Voice is an online marketplace where voice talent can showcase their demos, and clients in need of awesome, affordable voice talent can hire them. The process for finding and hiring voice talent online is quick and easy! 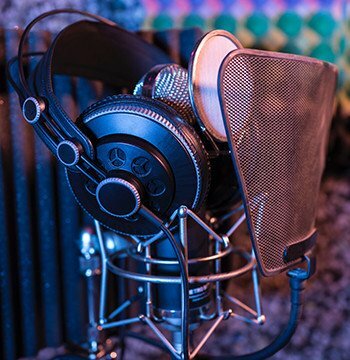 All of the professional voice over artists on our site have been vetted for quality for both production value and performance skills. Clients know they'll always find a great voice quickly. And with our 100% guarantee you get up to three re-takes for free and your money back if you don't like the final product. Whether you need voice overs for commercials, explainers, corporate narrations, IVR phone messages, or more, the reliable talent at Afford A Voice have got you covered! With at-a-glance talent details such as days & hours of availability and turnaround time, clients can not only find a great voice, but have a solid sense of what to expect in terms of deliverability before hiring. This is great info to know for those projects with tight deadlines and short runways! Need a few more reads of the script? No problem! As long as the script has not changed, each order comes with up to three free re-reads if you feel the talent didn't quit hit the mark based on your read requirements or you just need a slight tweak to a phrase or two.